Wild! Grape Pop Tarts are a decent treat. They aren't necessarily "Wild!" (excessively interesting) as the name indicates. They're more "good" without the exclamation point. Good Grape Pop-Tarts. Are they the "GRAPEest of all time" as the box suggests? When compared to other Kellogg's Pop-Tarts, sure. If your a fan of the grape, especially as it appears in sweetened juices and jams, you'll probably like this pastry. Like most toaster pastries, this product is sweet. Each one has 17 grams of sugar. This is one of a handful of Pop-Tarts whose flavor might actually benefit by reducing the sugar. When eaten un-toasted, the grape filling reminded me of a decent jam you might put on a peanut butter sandwich. An interesting metamorphous happens to the filling as it's heated. It begins to taste more like authentic grape - the stuff of juice. Unfortunately, toasting also seems to emphasize the sweetness of the frosting. 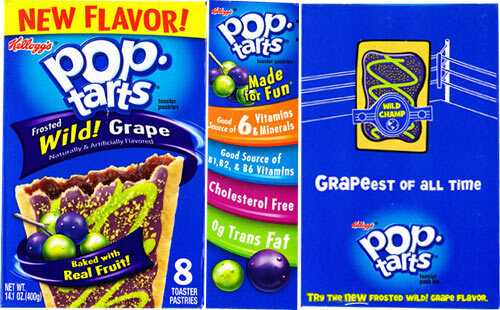 By the third or forth bite, a general sugar flavor starts to dominate the grape and you realize that all Pop-Tarts taste vaguely the same no matter the flavor. I actually enjoyed this Pop-Tart more un-toasted. Remember, Pop-Tarts are a treat. Try to eat a healthy breakfast at least 5 days a week. Whole grains, egg whites, oatmeal, fruits, lean meats... hopefully, you know the drill. But if you're short on time or you're due a treat, this Pop-Tart is likely to satisfy. It may be the GRAPEest of all time, but it's not really the GREATest. Nutritional information: Each single pastry serving has 200 calories, 5 grams total fat including 1.5 grams saturated fat, 0 mg cholesterol, 170 mg sodium, 36 grams total carbs, less than 1 gram dietary fiber, 17 grams sugars and 2 grams of protein. What do you think of Wild! Grape Pop-Tarts? The worst of all the Pop Tarts. The grape filling tastes slightly more manufactured than I would have liked. I love the grape pop tarts. The only problem with them is that they are very hard to find. Kelloggs needs to get them out on the shelves! Wow! 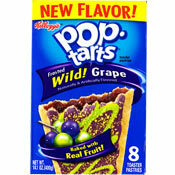 It's about time Kellog's came to their senses and re-released grape flavored Pop-Tarts! 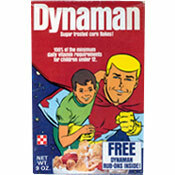 They gotta re-release "Peanut Butter and Jelly" next, that tasted hella good back in 87! You can't have one without the other. Then these guys gotta work on a banana cream line other than the chocolate one out not. Banana and strawberry make one helluva combination. Speaking of chocolate, no more fudge, that stuff tastes blaaaghhh! MILK CHOCOLATE is the way to go, but do not kiddify it like "Mud & Bugs". Frosted grape was always my favorite! How do they compare to the old grape pop-tarts? AKA the greatest toaster prepared food ever. Where did you purchase these grape pop-tarts?